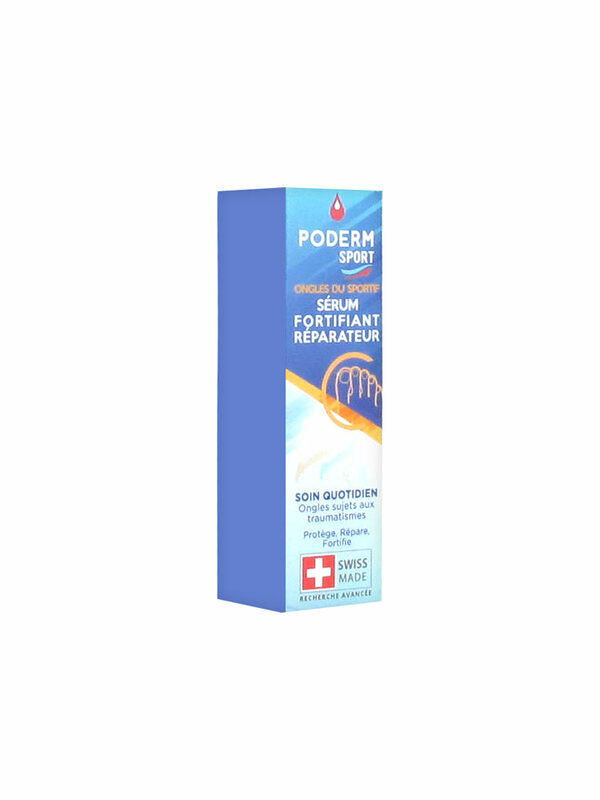 Poderm Sport Athlete's Nails Serum Fortifying Reparative 8ml is a serum for athlete's nails subject to trauma and shocks in shoes. This serum contains anti-bruises and preventive anti-fungal actives. It is rich in vitamins (A, B and E) necessary to the nails structure, the actives released reinforce and protect the nails. Your nails are thus strong and shiny. For external use only. Apply liberally morning and/or night to the nail and the surrounding area, insisting on nail grooves. Store in a cool place. Indication: Care for athlete's nails.